BOERNE, TX, September 19, 2018 — Marquis Who's Who, the world's premier publisher of biographical profiles, is proud to present Holly Leigh Jones Robles, PhD, with the Albert Nelson Marquis Lifetime Achievement Award. An accomplished listee, Dr. Robles celebrates many years' experience in her professional network, and has been noted for achievements, leadership qualities, and the credentials and successes she has accrued in her field. As in all Marquis Who's Who biographical volumes, individuals profiled are selected on the basis of current reference value. Factors such as position, noteworthy accomplishments, visibility, and prominence in a field are all taken into account during the selection process. A mental health counselor who practices in the state of Texas, Dr. Robles is experienced in crisis intervention, counselor preparation in multiple settings, at-risk, multicultural counseling, problematic behavior in children and adolescents, military family adjustment and conflict, suicide prevention, severe and persistent mental illness, and difficult clients. Her research focus has included variables in the educational setting that improve mental health in at-risk and disruptive students, as well as effective interventions in spite of extensive barriers to treatment, dating back roughly 25 years. Dr. Robles began her career in the field as a dual-diagnosis residential director with Central Counties MHMR Services in 1992, and now serves as a Licensed Professional Counselor-Supervisor. Dr. Robles has practiced and taught in institutions of higher education, and was lead psychology professor at the Central Texas College in Gatesville, Texas, from 1993 to 2006, a counselor and the Director of Crisis Services for the Mental Health and Mental Retardation System in Central Texas from 1993-1999, Assistant Professor of Counseling and Psychology at Tarleton University and Texas A&M University-Central Texas from 2005 to 2009, as well as a Licensed Professional Counselor with the McGregor Independent School District from 1999-2009. She joined Boerne ISD after spending six years with the Department of Defense, where she served in such senior leader roles as the Director of Behavioral Health, the installation Senior High Risk Counseling Psychologist, Director of Work and Family Life Programs, and Supervisor of Counseling and Advocacy Programs. This year, Dr. Robles released some of her work on making schools safer regarding student suicide, which was nationally presented at two sessions at the American Association of Suicidology and as a speaker for the Department of Defense Suicide Prevention Office DoD/VA Biannual Suicide Prevention Conference. It focused on suicide prevention and Suicide Safer Schools in Texas. Nationally, Dr. Robles has contributed to the field by conducting scholarly reviews for a host of publications, publishing refereed and non-refereed articles, and contributing to “Texas Suicide Safer Schools, Implementation Guide,” published in 2017 by Mental Health America of Texas. Dr. Robles has been a member of the American Counseling Association, the National Board for Certified Counselors Foundation, the Texas Association of Humanistic Education and Development, the Texas Counseling Association, and the Texas Association for Counselor Education and Supervision, among others, and has been the recipient of approximately 17 grants over a prolific investigative career. She is an alumna of Baylor University and earned an MA in counseling psychology from the University of Mary Hardin-Baylor, going on to matriculate for an MS in psychology and a PhD from Texas A&M University-Commerce. Her research investigations have explored conflict resolution and the effects of cyberbullying on children and adolescents' mental health, as well as understanding secondary general educators' classroom behaviors toward disruptive students. Always known for her generosity and enthusiasm, Dr. Robles has been involved in her national, state, and local community for many years. 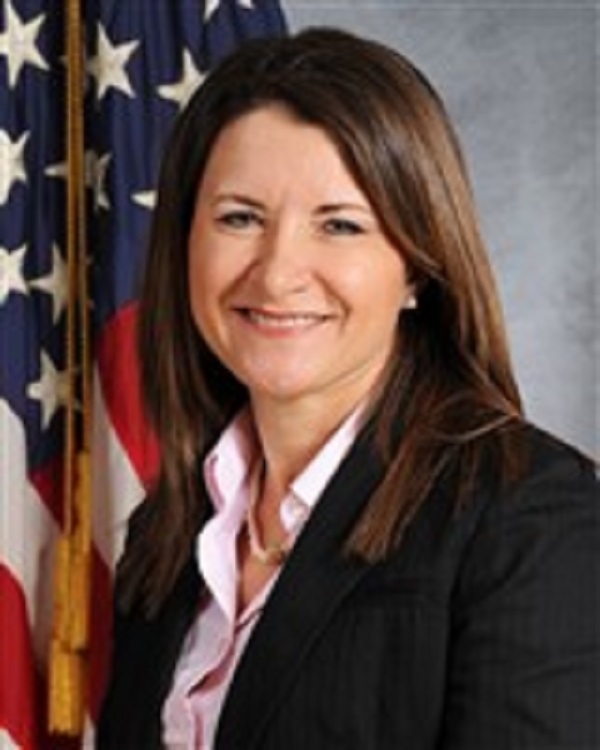 As the Director of the Emergency Family Assistance Center while in Japan, she worked extensively in development of a regional trauma response team that was used to respond to regional crises and major mishaps, using extensive experiences that she had gained from responding to mass casualty events such as the Luby's Massacre in Killeen, the Branch Davidian siege, the Fukushima disaster, and countless others. She was the President of the Advisory Board of the U.S. Department of Defense Education Activity School from 2014 to 2015, and was equally at home as a trainer for county and city law enforcement personnel in child abuse and domestic violence first responder training. She has also been acknowledged with countless awards for her efforts, including a 2015 Navy Meritorious Civilian Service Award, a 2015 Civilian Employee of the Quarter Award, and a 2014 Civilian Employee of the Year Award from the Naval Air Facility in Atsugi, Japan, a 2009 Texas State Technical College High School Counselor of the Year, and a 2004 Distinguished Doctoral Student in the Department of Psychology and Special Education. Notably, she has been cited both in Who's Who in American Education and Who's Who of American Women. Dr. Robles is a National Certified Counselor, Licensed Chemical Dependency Counselor, Internationally Certified Alcohol and Drug Counselor-Diplomat III, Certified Anger Resolution Therapist, and Licensed Professional Counselor Supervisor, and holds a Pupil Personnel Services license. In her free moments, she enjoys spending time with family, quilting, scuba diving, travel, and gourmet cooking. She is married to MSG Peter Robles, Sr, (ret.) and has eight children. In recognition of outstanding contributions to her profession and the Marquis Who's Who community, Holly Leigh Jones Robles, PhD, has been featured on the Albert Nelson Marquis Lifetime Achievement website. Please visit www.ltachievers.com for more information about this honor.